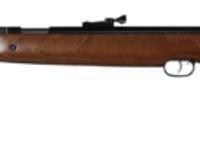 The HW77 MKII Carbine is related to one of the first - and finest - underlever field target rifles ever made. 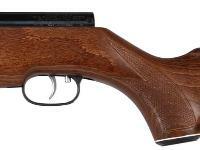 Born in the famous Weihrauch plant in Germany, the Carbine has returned to the Beeman line due to overwhelming popular demand. Even if you're not a field target enthusiast, you'll enjoy shooting this rifle! It's great for plinking, shooting spinners and paper targets, and accurate enough to do some serious bug busting. 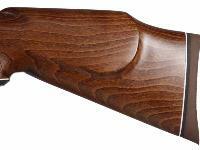 The Monte Carlo stock has a raised cheekpiece, and the beech stock has hand-cut checkering on the pistol grip. 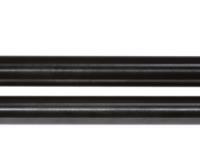 The stock is capped with a soft rubber recoil pad to give you ultimate control. The Rekord trigger, which is praised by shooters and admired by competitors, adjusts to your needs. 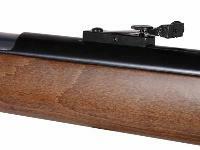 The 11mm grooves in the receiver make it easy to mount a scope. 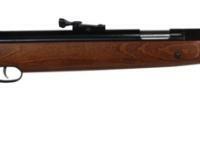 If you like the simplicity and ease of shooting a spring-piston gun, then give the HW77 MKII Carbine serious consideration. Don't forget to pick up a variety of recommended pellets, which are listed in the AMMO link. Remember to get a scope and some targets, cleaning gear and safety glasses. They're listed in the ACCESSORIES link. Field target, plinking, paper targets, spinners and bug bustin' are a great way to enjoy your HW77 MKII Carbine.